Shri Rangnath Venugopalji Mandir popularly known as Purana Rangji Mandir is one of the defining landmarks of Tirthraj Pushkar near Ajmer in Rajasthan. Situated on the north of the lake Sarovar, the temple symbolises values and traditions, which over several millennia have formed the hallmark of Pushkar. Dating back to the 19th century, it is a marvellous example of the amalgamation of South Indian and Rajasthani traditions. 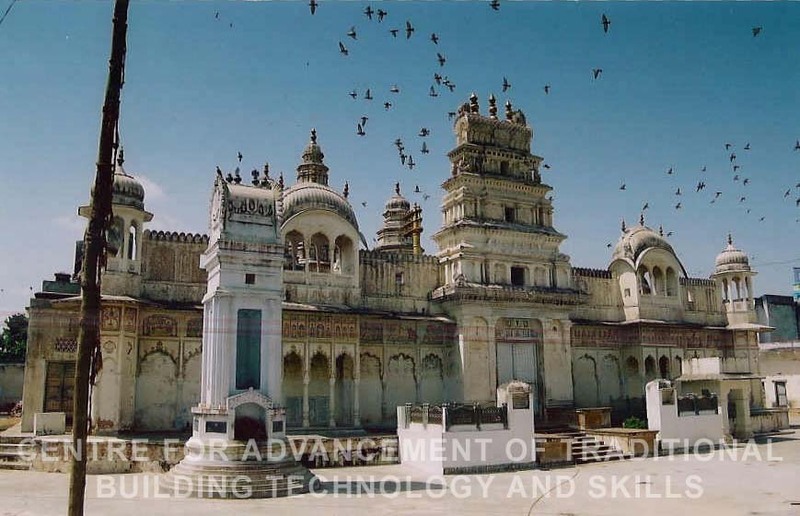 South Indian temple architecture and Rajasthani architecture have been flawlessly woven together in this edifice. Beautiful paintings on its walls are a reflection of the remarkable fresco traditions of Shekhawati. The temple was founded by Seth Puranmalji Ganeriwal in 1844 under inspiration from Shri Anantachari Maharaj. The temple is a confluence of two distinctive streams of Hindu faith. It depicts the adaptation of traditional Dravidian temple form to Rajput ornamentation. 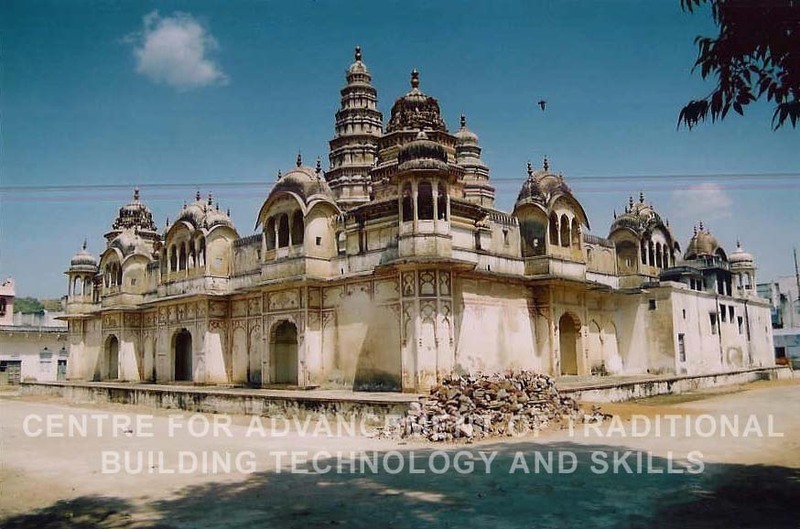 This architectural synthesis is a reflection of the underlying philosophy of unity that was sought to be propagated by Ramanuja Sampradaya of Shri Vaishnava sect of Hindus. The complex is entered through a massive gateway in Rajasthani style which leads into the outer Parikrama of the main temple. The main temple or the Nij mandir has a gopuram surmounting its entrance. Inside this entrance is a golden Garuda Dwaja Stambha. The Nij Mandir Complex has three shrines on the main platform of the Garuda dhwaja devoted to Lord Krishna, Lord Ranganath of Srirangam, and Shri Ramanujachariya. On the two sides of the main platforms are idols of Goddess Laxmi and Goddess Godammaji. Idol of Shri. Anantachariji Maharaj, main inspiration behind the institution is also placed on one side. All five shrines are surmounted by shikharas in Dravidian style and the mandapa in front of the platform is decorated in typical nagara style. The entire Nij Mandir complex is enclosed by a fortified wall decorated by chhatris and jharokhas with fresco paintings. The major themes of the paintings and carvings in the outer Parikrama are religious and mythological stories such as Krishna Leela, Ramayana, Sagarmanthan and other puranic texts. The temple is in possession of rare Vimanas and Chattras (umbrellas) which are displayed during festivities and rare rituals. The various vahanas in the temple include Horse, Elephant, Snake, Garuda, Hanuman, Kadam, Surya and Chandra.